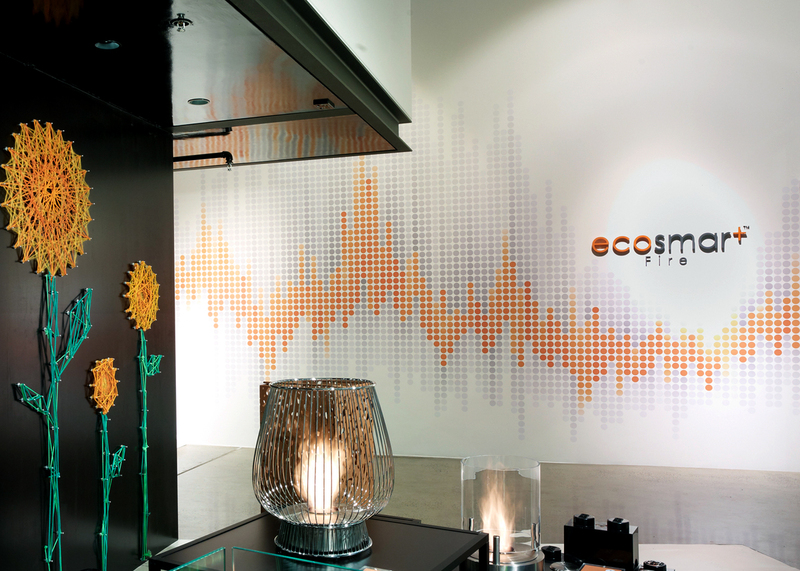 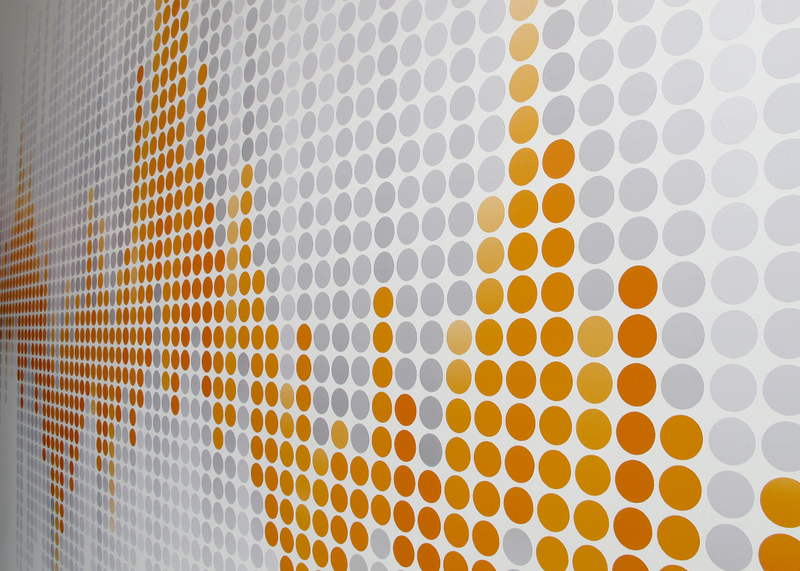 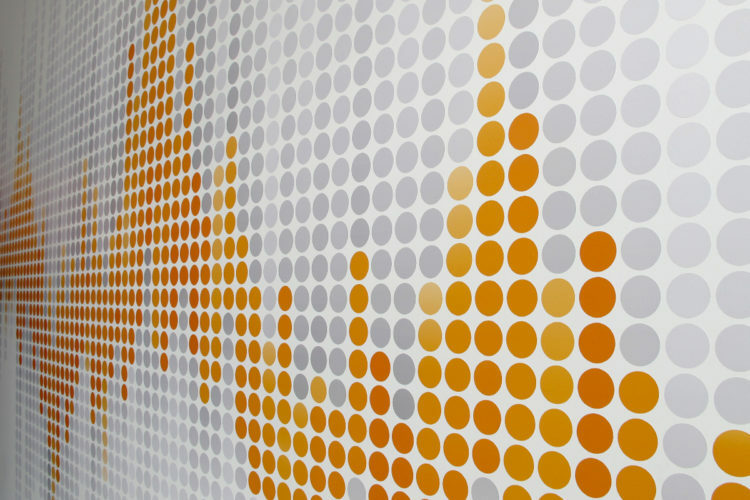 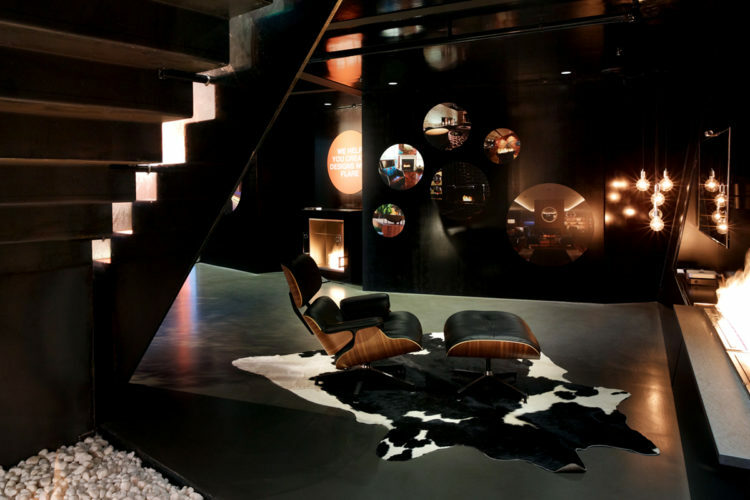 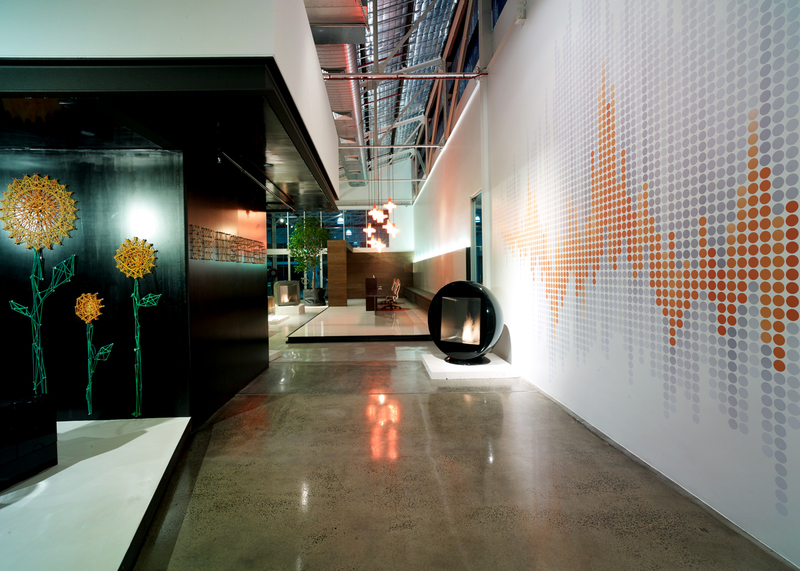 SML created the signage and graphic elements within this space designed by Geoform Architects. 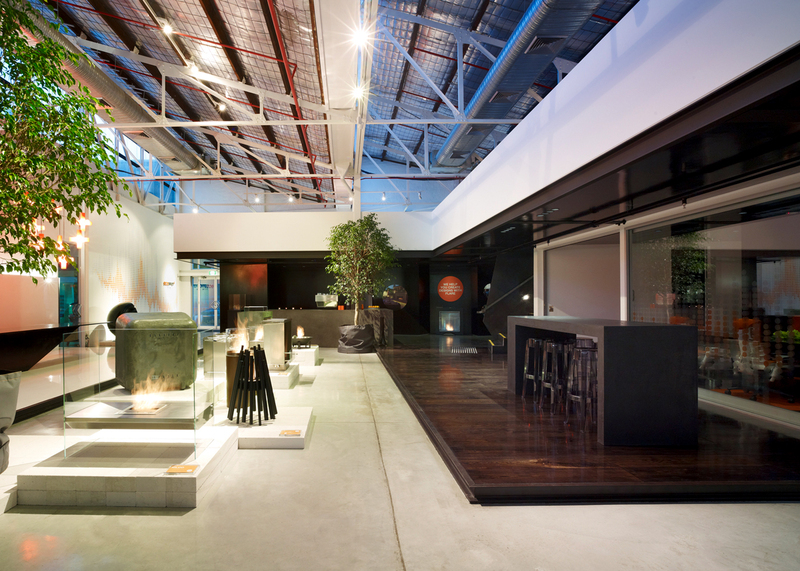 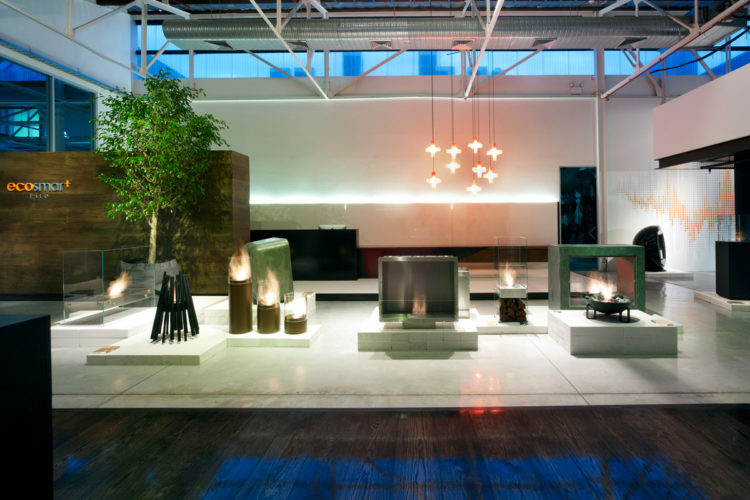 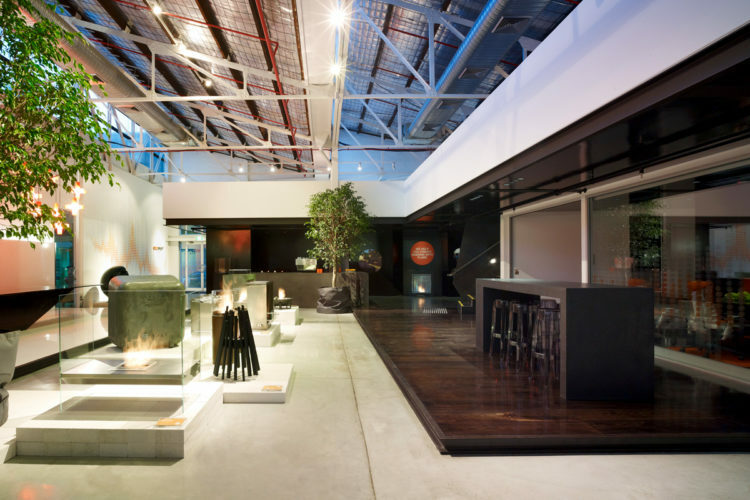 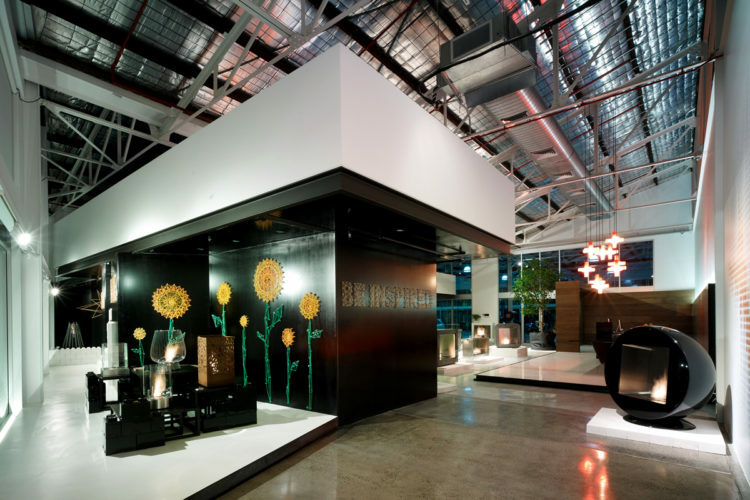 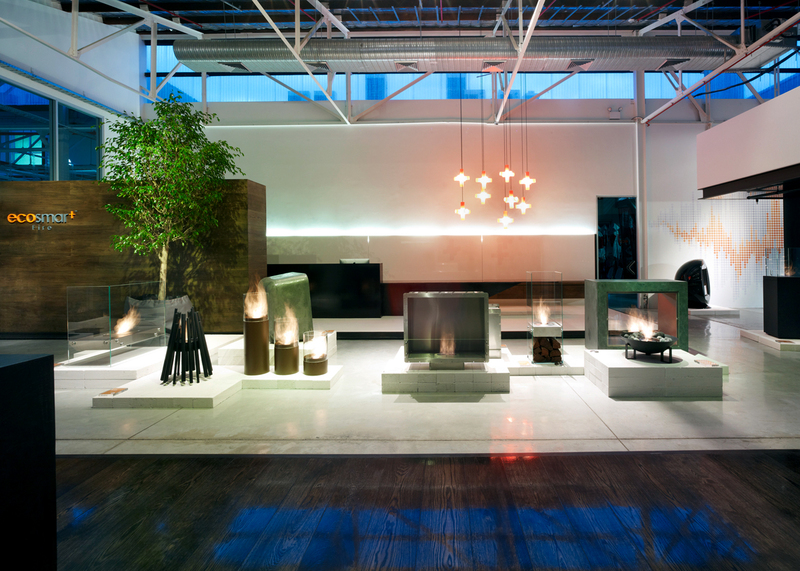 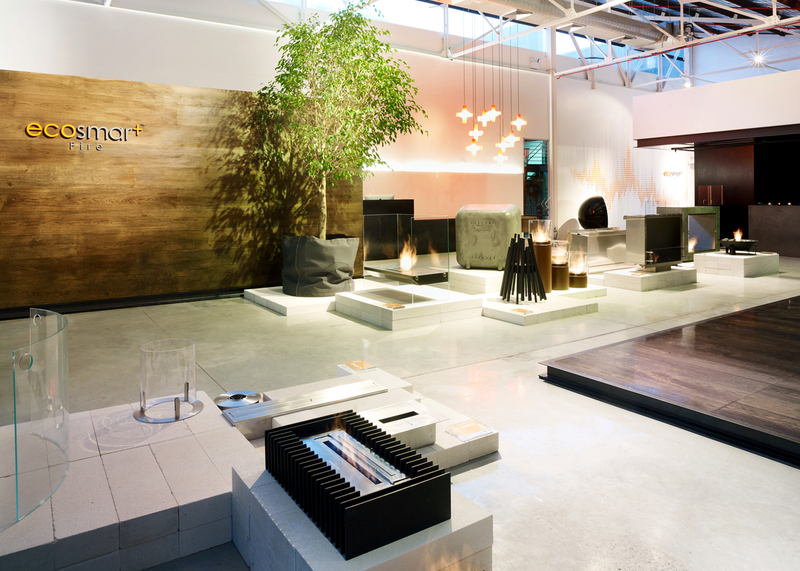 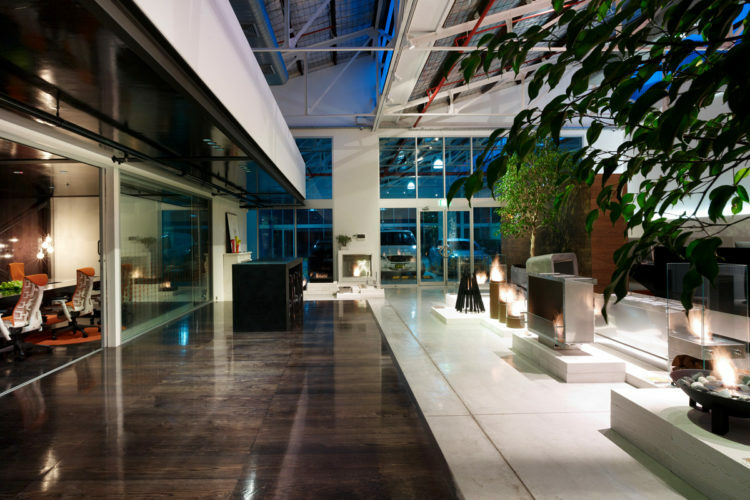 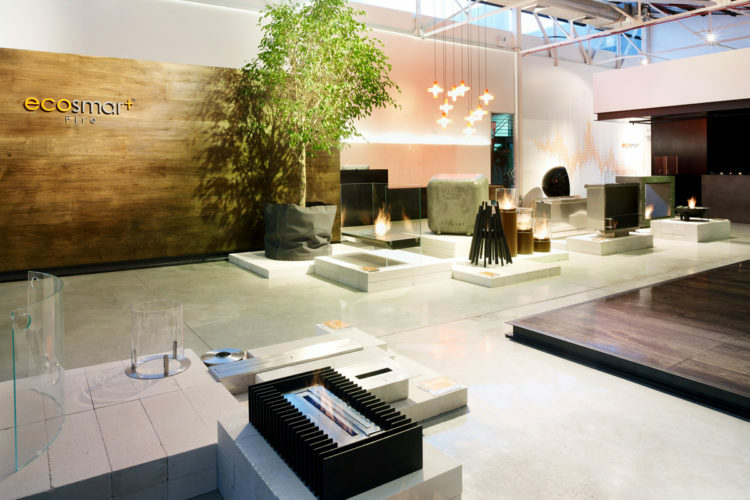 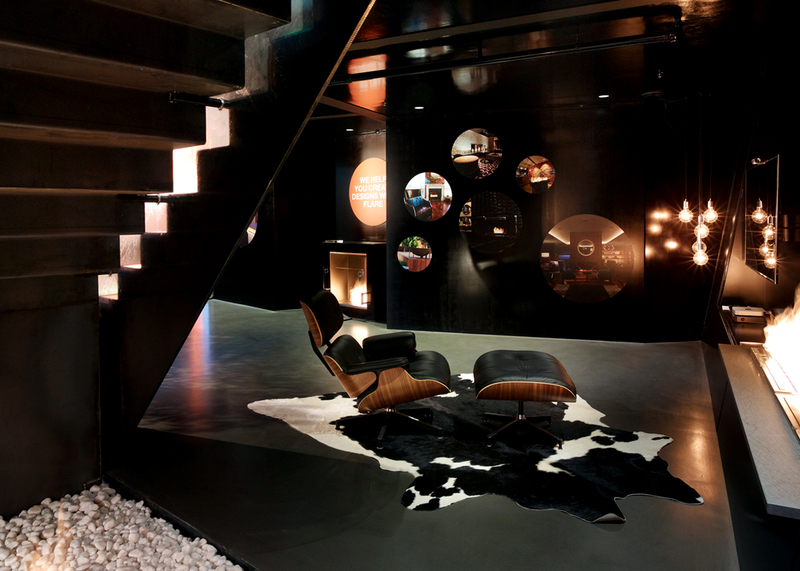 The industrial chic aesthetic was a wonderful counterpoint for the showroom filled with inspiration for environmentally friendly fire design, in and around the home. 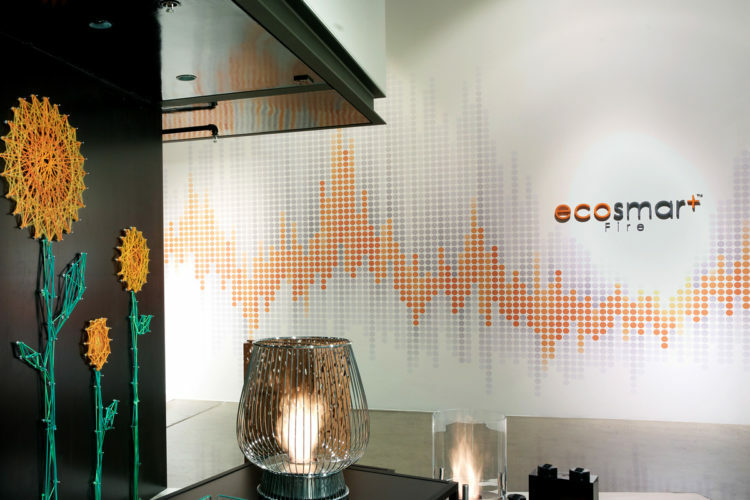 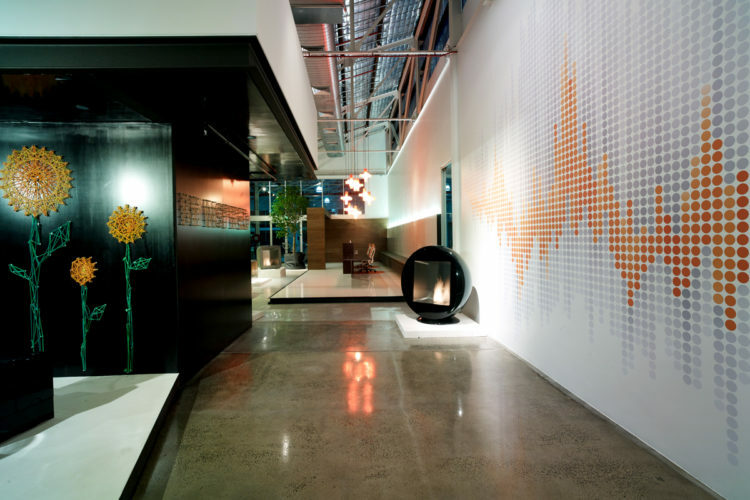 The graphics are interpretive of an organic vibrant flame that dances across the massive feature wall, external glass entries and internal offices, as a way to connect each area of the showroom.